John Deere was a great blacksmith and inventor. It is his passion in developing tools for farmers to have it a bit easier on their farms that drove him. From making steel plows in his Grand Detour blacksmith shop in 1837, his business grew by leaps and bounds through generations, to become a renowned farm and industrial equipment manufacturer. 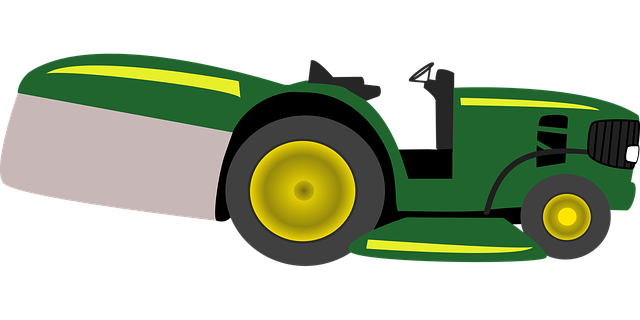 Currently, the products produced by John Deere range from tractors, planters, harvesters, seeding and tillage equipment, balers, mowers and so much more. 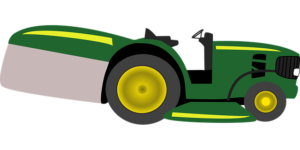 Among the many inventions that have become quite popular are lawn mowers. Of course, John Deere makes both riding and walk-behind mowers. Among the variety of lawn mowers they manufacture is the John Deere L100. It is a smaller version of the L110, L118, L120, and L130 lawn mowers in JD L100 series. Today, we will expound on the key features and specifications of the John Deere L100, and what makes it stand out. Even though it is the premier in John Deere’s L100 series, this mower has quite a number of amazing features. This should come as no surprise, coming from among the world’s best equipment manufacturers. Among the attractive features are the engine power as well as the size/dimensions. First, the engine used in the L100 is the 1-cylinder Briggs & Stratton 51 (0.5 liters in size). The engine is housed in a 2WD, 4×2 chassis. Also, the engine has a 508-cc displacement and produces up to 17 horsepower. For proper lubrication, the oil pan needs to have at least 1.4 liters of oil. Given that the engine is quite small, the 7.9-liter gas tank should last longer. This lawn mower’s transmission provides reasonable speeds for both reverse and going forward. The top speed reaches 6.4 mph going forward, and 2.3 mph when reversing. This should be enough even when you are mowing expansive sections of grass. Just like any other machine, the JD L100 mower requires regular service. Of course, you can take the mower to a mechanic, or do it yourself. I always prefer to service my own equipment, so that I am sure of quality work. Luckily, I found this John Deere L100 Service Manual that has detailed, step-by-step instructions. It is among the few resourceful guides that will ensure you do a perfect service job. As far as mowing is concerned, the JD L100 is a winner. With its amazing features, you won’t go wrong. Comfort is guaranteed, in addition to offering quality work on your lawn. When it comes to servicing, DIY is my preferred option, and I would advise you to do the same.